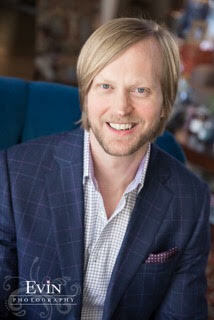 Eric Ross Interiors is one of my favorite design firms with the talented and funny Eric Ross at the helm. Eric and his darling wife Ruthann have teamed up to create a brand they stand behind. Eric's designs are classic, layered and comfortable. His use of color and incredible drapery makes me swoon. His work speaks to the timeless prep in me, the one who will always be draw to Ralph Lauren button downs and penny loafers. I couldn't love them more. 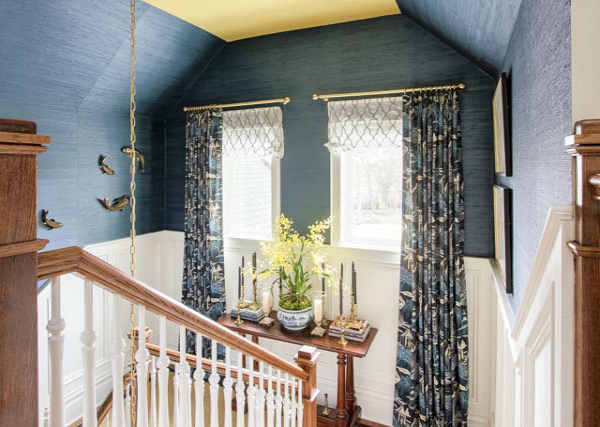 I love so many of Eric Ross Interior projects but the stairwell, coat hall and mezzanine he designed for the O'More College of Design Show House in April 2014 is by far my favorite. 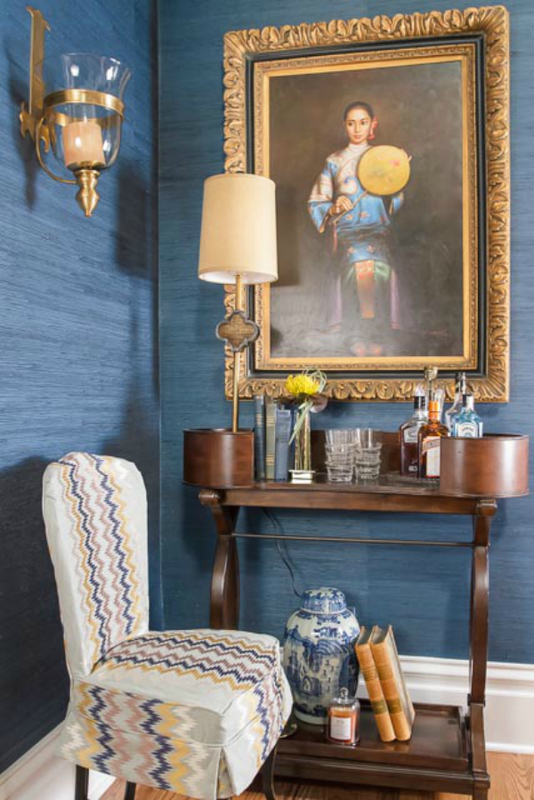 Using navy grass cloth wall covering and Robert Allen fabric he created a unified and cohesive look. It is so much more than that for me. That paper just sings on the walls and that painting, oh that painting. I may or may not have found the perfect space for it in my own home. I mean, just in case he decides to unload it. The home, circa 1904, served as a funeral home from 1936 to 2007 and then was purchased by a developer and restored to a family residence. Oh, if those walls cook speak, the stories!! Eric told me he opened up the stairwell which were originally enclosed leading to the attic. He removed a wall and reconfigured the lower landing to open the space. In doing so he created an alcove below the stairs that he designed as a reading nook. With this space immediately off the kitchen it became the perfect sitting room while the kitchen was being used. I must admit, this space may be my favorite. First of all, tell me about Eric Ross. How did you start? I have been designing spaces since I was 12 years old. My sister is 14 years older than me and I have decorated almost all of her houses. Professionally I started in retail at a furniture store. That's how I built my current client base. Someone would come in looking for a sofa and I would sell them a whole room. A room would turn into an entire house and they would tell their friends about me. I had a great referral network from very happy clients. That was almost 20 years ago! I have design students and newbies always ask my advice on how to get started in this business and I always tell them to start in retail. It really was a great source for clients. Focus on finding a store that really sells design, not simply furnishings. 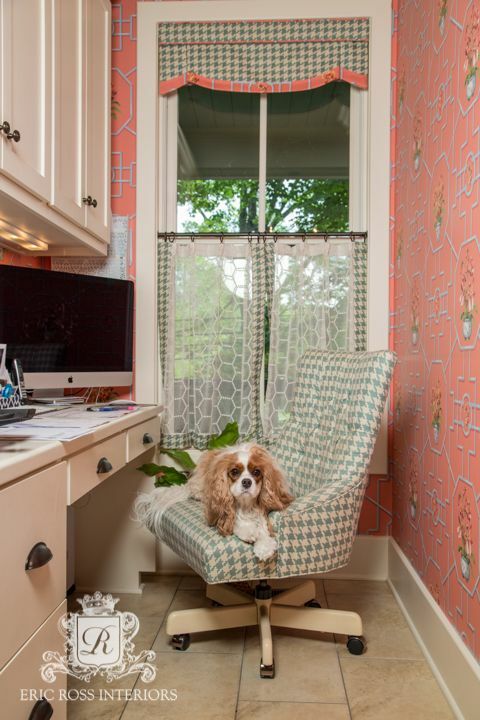 When I started my company Eric Ross Interiors in February 2009 I had worked for a large design firm for almost 7 years. I was used to selling their "brand" if you will so I had to really hone in on my own voice and point of view. 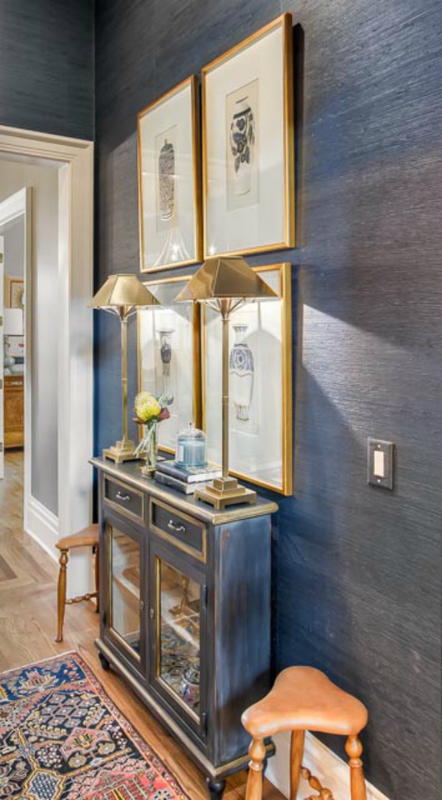 This really pushed me to listen more to my clients and find ways to establish what their true needs were and how to create and deliver a room that truly represented who they were. For years I had provided solutions based on what product the firm had in stock, but once I was independent I could research and find whatever best met the needs of the client. It really allowed me more creativity for the projects and I was able to create more continuity between my projects. They began to show more me. If you look at my body of work the projects are very different yet they share a basic core; classic, inviting and elegant. Elegant doesn't mean dressy, but stylish. If I had it to do over again I would major in Italian Renaissance Art or just Art History. It was a passion I found I had in college but I was already at the end with one semester left. I felt it was too late to change. I have nutured my interest in art over the years and love to learn about the times and eras of art and the motivators behind, not just the artist, but the patron who was funding his work. Share two people who have influenced your career and why? I would say my mother influenced my career in design in that we always had a beautifully decorated home. Every room was perfect. I mean, even the bathrooms had mathcing toilet paper. Do you remember colored toilet paper? Wow, what a trend! She created a backdrop to our lives. My parents divorced when I was quite young and we had to move several times, but we always had a beautiful home. Always wall to wall carpet and beautiful curtains. To this day I still think every home needs curtains. I think it helped to have beauty and order in what could have been, and probably was, a chaotic time emotionally. Our home was always beautiful. It wasn't just decorating, it was really a way to create stillness and rest in an unfamiliar time in my life. The other influence was my Aunt and Uncle's decorator. I'm from a small southern town so as a child I never knew you could make a living decorating. I was very close to my aunt and she married a doctor who had moved to our small town from California. He hired a decorator to help her with their new house. The decorator would show up with art, furniture, new cushions for a porch sofa, etc. I would watch him hang art. He would just pull out a hammer and start hanging. No measuring at all. I laugh today when my clients, if I allow them the pleasure of seeing me hang anything, will say "don't you need a tape measure?". Ha. After 20 years I can do it in my sleep! Name three things you think every good design needs? 1. Window Treatments - These are a must. They are the designer stroke in every room. 2. Comfort - A lot of people think if you hire a decorator your home with be crammed full of unusable objects, like pillows. It amazes me how many people will walk up to a sofa and stare at the pillows like they don't know what to do. I love pillows. You can really customize your comfort level on any piece of upholstery. And of course, they add a lot of visual interest. 3. Antiques - One major component of my rooms is that they have a sense of permanence. You can do this in a variety of ways, but an antique instantly gives a room a sense of history and permanence. The patina of the wood and the hardware, the uniqueness of the design, and most importantly proper scaling. I find that some contemporary case goods tend to be over scaled and stick out like sore thumb as “New.” Even if I’m working with a limited budget, I’ll find a reproduction to give that sense of history and grounding to a room. I like rooms to feel like they evolved over time and are less formulaic and antiques really help with that. Any that needs to be left out? I hate recliners, they make me crazy. Of course, most men love them, but I typically remove them from rooms. Chairs and ottomans are much better looking and more customizable for size. I love fabric. It really is the starting point of most of my rooms. Prints are so inspirational because they have a plethora of colors and subject matters. I like to find the most obscure color palette in a print and pull it out as the lead. This creates a very unique color palette and keeps a room from looking matchy or formulaic. I didn't come up with this idea on my own rather I stole the idea from Mario Buatta, one of my design heroes. He was the master of the mix. I really like a layered look that has some items that most might think "does that even go in this room"? Tell me about your darling pup! I think you need he may need his own Instagram account! Well, his name is Prince Darby, but we just call him Darby. We don't want him to be too self-important. There's only room for one prima donna in the house and I will let you guess who takes that role. He does have a hash tag #darbydoesdesign but I haven't been consistent with using it. He is very bored with all of my design work. He would prefer I spend all of my time throwing his blue bear which is his absolute favorite toy. Favorite item on your desk. It has to be my coaster. It's blue and white, of course, and has a dragon in the center. I found it junking one day (aka killing time) and it was like $3. I love it. The only place I feel truly content is in the mountains. We just bought a house in Highlands, North Carolina we named Roostica Cottage and its my family's idea of heaven on earth. Just to be able to look at the sky and enjoy the breeze brings me immeasurable happiness. 1. Time - Most successful people spend all of their time working and no time enjoying success with the people they love and matter the most. I guard my time so I can spend it wisely. 2. Blue and white porcelain - It's a neutral to me and looks great in every room. I prefer oriental porcelain and don't have any Dutch or Blue Flow in my personal collection. 3. Window Treatments - After so many years decorating I never tire of seeing them installed and how quickly they transform a room. 4. Persian Rugs - Try to splurge for at least one in your home and then collect more over time. They provide extra clout to furnishings that may be simple on their own. They are an asset that appreciates over time and they are something you can trade with anyone all over the world. 5. Vintage or Antiques - Antiques are preferred, but if you can't afford it go vintage. And by vintage I don't mean something you find in a barn and slap some Annie Sloan paint on. I mean a real piece of furniture that won't give you splinters. In my opinion, a truly beautiful room shouldn't be a craft project. Successful decorating comes from a thoughtful collection of furniture and accessories that you can enjoy for years to come. Not something that can be thrown out and burned at a later date. I find that people feel pressured to do rooms too fast and that is where they begin to cut corners. People come to our home and say how warm and welcoming it feels. It has taken 20 years and lots of patience. The space includes items from Couristan, Circa Lighting, Robert Allen Fabrics, Stanley, Sarreid, Anna French and Wesley Hall. 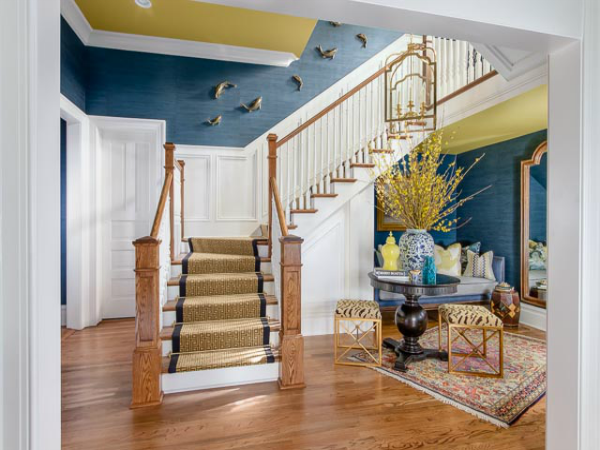 Contact Eric Ross Interiors directly for more information on sourcing. You can see more of Eric's amazing design work on his website. You also must follow him on Instagram and Pinterest. I love to see the thoughts designers have, it is so inspiring to me. And Eric is funny!!! That alone is worth the follow! Happy Friday! Chin chin to another amazing weekend full of incredible weather! 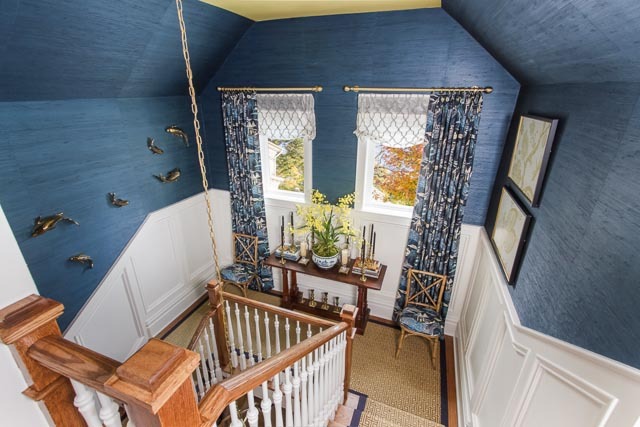 The small hallway is fabulous. Everything about it I love. 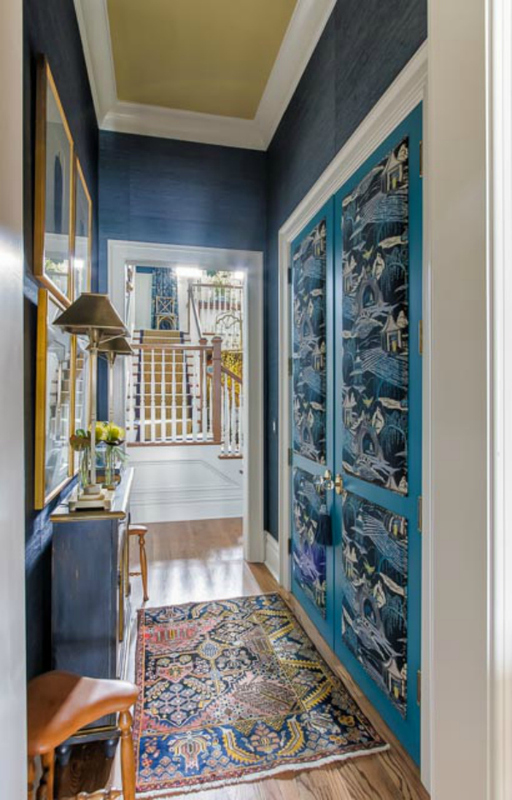 The closet doors with fabric treatment is gorgeous. I now have to figure out how to do that with our front hall closet in my home. Thank you for sharing! top rated recliners have some common features first of all. Durability, comfort, cost effectiveness, fabric and other supreme qualities.But now, with the extra added top features recliner is called top rated recliner.